Contoy Island Adventure Tour, discover white sand beaches and lush palm trees, relax and enjoy the nature of this beautiful island of The Caribbean. Home of more than a hundred migrating birds, like frigates, pelicans, and cormorant. 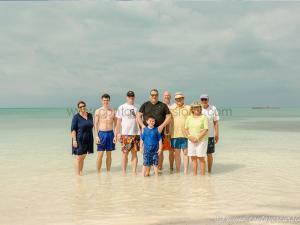 Is the biggest nesting island of The Mexican Caribbean. 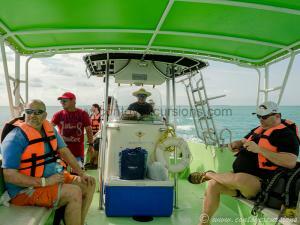 Before visit Isla Contoy this tour includes a short visit to Isla Mujeres. 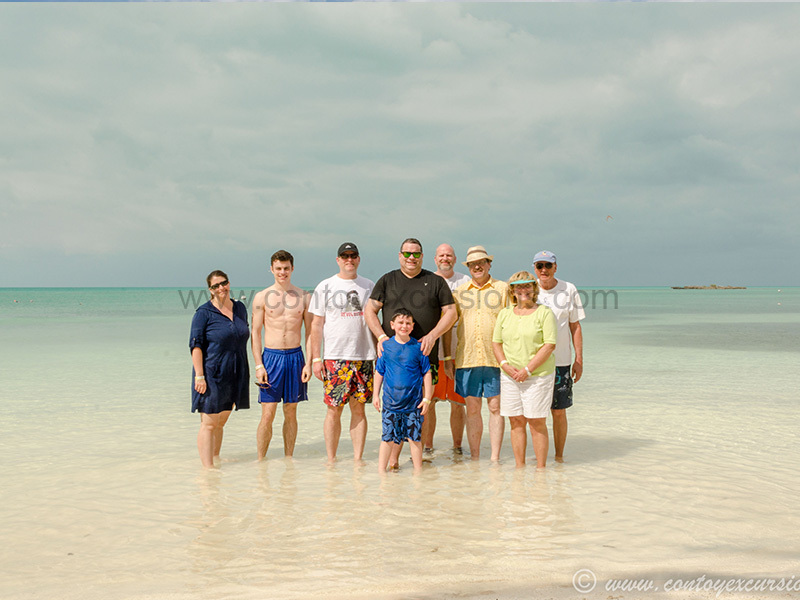 Walk through beach and take a look at local stores near the beach, then we head back to the boat and head to Isla Contoy. This tour sails from Cancun, marine life is visible around the waters of Isla Contoy, be ready. A few feets from the island, the coral reef is home to a multitude of fabulous species, for a great snorkel day. 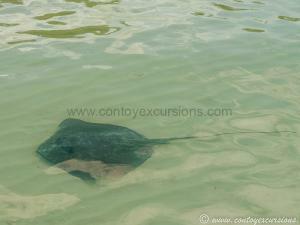 Close to Isla Contoy pier, there is another natural attraction, the manta rays approach the beach, an amazing experience! The lunch is included, you will taste the delicious Tikin Xic, pronounced “teekeen sheek” in Yucatec Mayan and meaning “dry fish”, is a fish dish prepared in the Meso-American style. 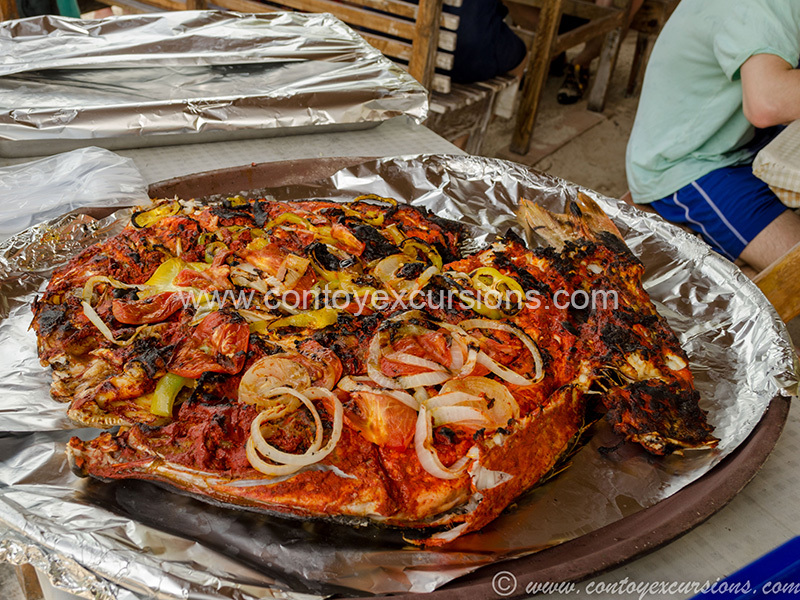 The fish is prepared whole then marinated with adobo de Achiote and sour oranges then wrapped in a banana leaf and cooked in an earth oven beneath a wood fire. An experience you must do in your next vacations at Cancun or The Riviera Maya, this tour is ideal for families, couples or friends that want a close touch with the nature and wildlife of the area. Cancellations with 48 hours before no charge. 11:00 pm Snorkel in the coral reef. 12:00 pm Trip to the island and wildlife encounter. 05:30 pm Arrival Cancun Hotel Zone Marina. Hotel transportation only booking without transportation option. Important before booking: *Cancelations with 48 hours before, no charge. *No shows 100% cost. This tour is available all year round.